There were 17 participants in this year’s Photo Finish Challenge. We were asked to use a photo (we had seen or taken) as an inspiration for a quilt measuring not larger than 160” perimeter. The photographs were hung along side the entries for judging. The photo topics ranged from the natural…a solar eclipse, gingko leaves, feathers, flowers and tropical beaches, to man-made…blown glass, plates, barn painting, T-shirt and a wall of graffiti. A great response to ‘challenging’ challenge! Take a photo of anything and use it as your inspiration to make a quilt! If you don’t have access to a camera, a picture from a magazine, postcard or a website will work. It cannot be a picture of a quilt or a quilt pattern! Look around you…there are quilt inspirations everywhere! The beautiful stained glass window at church, the cool mosaic tile floor in the bathroom of your favorite restaurant, a breathtaking sunset, that special someone in your life, a favorite painting in a museum, a lovely bouquet of flowers, it’s your choice! · Do not include a fabric copy of your picture on the quilt. You are recreating your photo in fabric, not making a photo quilt. · Any quilting method you want – pieced or applique, machine quilted or hand quilted. · Quilt perimeter no larger than 160 inches. 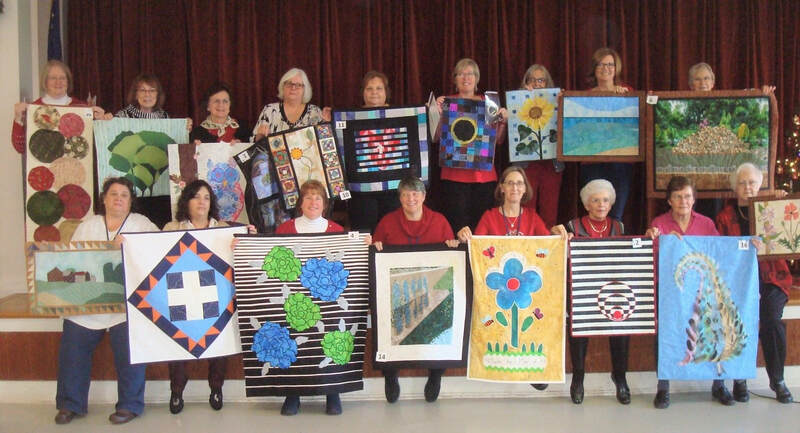 · Quilt must be totally completed to be entered at the Holiday Brunch. 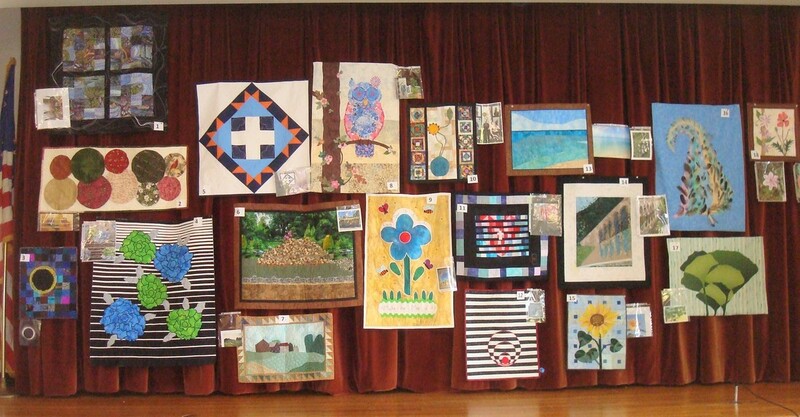 · Photo must accompany your finished quilt. We hope you enjoy this journey!